Thai police have fined the motorbike shop that rented the motorbike that 17 year old Anthony Ryan was riding when he met his death on January 24th last. 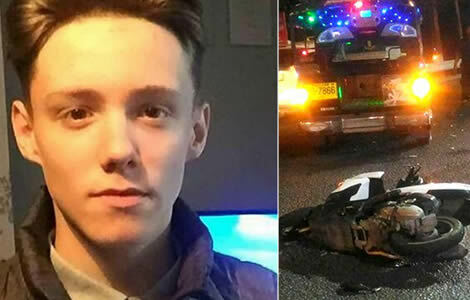 Like many other UK and western nationals from the United States, Europe and Australia, the teenager was riding a rented motorbike without insurance cover and without a valid licence while in Thailand. Despite a crackdown by Thai authorities and Thai officials on motor bike rental shops failing to ensure that those renting a motorbike are licensed and qualified in their own countries, the practice is still believed to be widespread. It is time for western visitors to Thailand to act more responsibly if future accidents and deaths that should not happen, are gong to be prevented. 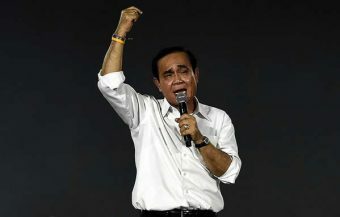 The fallacy that Thailand is a country where laws can be brushed aside or worked around must end. It is also time to wake up to the dangers of motorcycling on Thai roads and the need for experience and caution. Days after officials met in Phuket to discuss Anthony Ryan’s case, two Russian tourists were killed when their rented motorbike collided with oncoming traffic. Thai police were reported as saying that two men were driving recklessly. Thai police revealed this week that young 17 year old Anthony Ryan was riding a motorbike in Thailand without a licence and insurance cover when he died on January 24th last. It came as officials and police in Phuket held discussions in the aftermath of the tragic accident. On February 11th, two Russian tourists were killed in a similarly tragic accident while riding a rented motorbike. Since 2018, Thai police have been intensifying a crackdown on motorbike rental shops hiring motorbikes to foreigners without a valid licence and identification documents. The danger of Thailand’s roads, particularly for those riding motorbikes, means foreigners must also be encouraged to take more personal responsibility in Thailand in order to avoid further accidents and tragedies. Right: The scene after two Russian motorcyclists died on the Patong Road on Monday night February 11th. 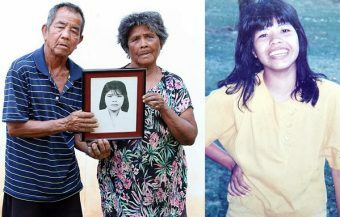 Left: Anthony Ryan, the 17 year old who was killed on January 24th when he lost control of his rented Honda Zoomer motorbike in the Kamala area of Phuket while traveling with his boss and holiday companion. It was the young man’s first holiday abroad and his death has highlighted the tragic loss of life and injury from motorcycle accidents in Thailand. 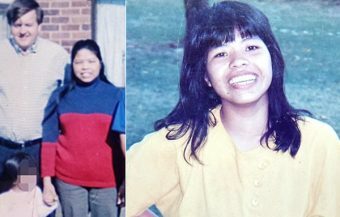 It is a tragic situation which sees large numbers for foreigners and huge numbers of Thai nationals killed every year. Thai police have announced that the motorbike rental company that rented the motorbike to 17 year old Anthony Ryan has been fined ฿2,000 or approximately £50 as investigations in to the young man’s death in Thailand continue. 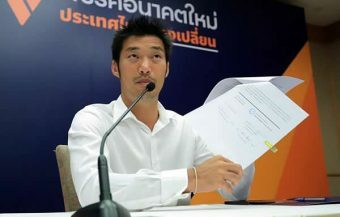 Lieutenant Yossaphat Suwannasit confirmed the sanction this week to the local newspaper in Phuket, The Phuket News. The fine is the legal penalty in Thailand for firms that hire motor vehicles to foreign nationals without a valid licence. ‘The rental shop owner was fined ฿2,000 last week. Vehicle rental companies that rent vehicles to people who do not hold a valid driving licence must be fined ฿2,000,’ the Thai police officer told reporters. However, it appears that the operators of the motorbike company felt justified in renting out the the motorbike as it was one of two rented and paid for by Mr Ryan’s boss from the United Kingdom with whom he was sharing his trip to Thailand. The Thai police officer confirmed this to the newspaper: ‘The operator explained that they had rented the motorbikes to a second man who was older and presented a valid driving license to rent the two bikes for himself and for 17 year old Ryan.’ He explained that the motorbike rental shop was a small business still trading in the area. The death of Anthony Ryan occurred on Thursday the 24th of January in the evening as he and his boss from the UK traveled at speed along a busy road near a popular tourist resort in the Kamala area of Phuket. Dashcam footage of the accident was retrieved and it clearly shows the young man losing control of his Honda Zoomer motorbike as he raced with his companion along the road in dangerous, wet conditions. He was struck by an oncoming vehicle after his motorbike fell sideways. The tragic incident and death of the UK teenager is one of 50 every day in Thailand including many foreigners. On February 11th, two Russian tourists were also killed instantly on the Phrabaramee Road in Phuket when their rented motorbike hit a pickup truck which they had veered towards. 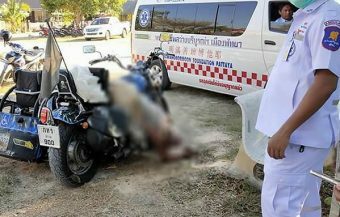 The high incidence of foreigners being killed by motor bikes in Thailand has prompted Thai authorities to take action. Police have mounted campaigns to make sure that motorbike rental shops in Thailand do not rent motorbikes to foreigners without a valid licence. 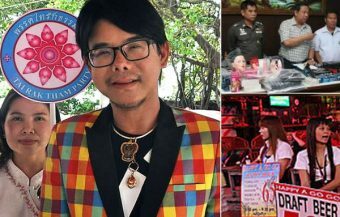 A number of local campaigns were launched in 2018 targeting key resort areas popular with foreigners including Pattaya and Phuket. The move includes a threat to confiscate motorbikes found being used by foreigners without valid driving licences. While the penalty of ฿2,000 is not severe, it must be understood that the rental of motorbikes to young foreigners visiting Thailand is a thriving business driven by demand from the foreigners themselves. Many of the motorbike shops renting motorbikes are very small enterprises. The Thai police campaign threatens motorbike rental businesses with a revocation of their licence from Thailand’s Department of Business Development if they are found to be repeatedly in breach of the new regulations. 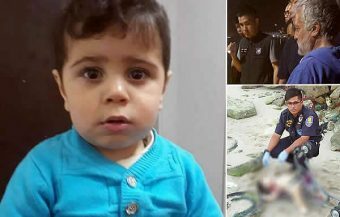 The tragedy surrounding the death of Anthony Ryan has sparked a flurry of activity among authorities in Phuket. 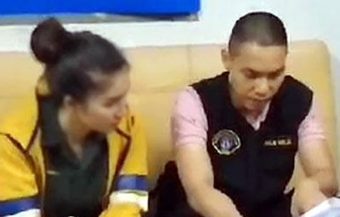 It is reported that Captain Eakkachai Siri of the Thai Tourist Police held a meeting on Wednesday last, the 6th February, to discuss the matter with key officials including Phuket’s Vice Governor and officials from the local Land Transport Office. The Tourist Police officer was concerned that the motorbike rental company had rented out the two motorbikes on sight of only one valid UK driving licence and not passports also as required by Thai law. Captain Siri also revealed that the motorbike rental company was inquiring about the possibility of seeking compensation for damages to the motorbike. The absence of a valid driving licence would have automatically voided any possibility of claiming damages through an insurance policy. The Vice Governor told the meeting that the priority must be to reduce accidents and that tourists must be made aware of the road traffic laws in Thailand. He indicated that this was also a key responsibility of firms renting out motorbikes. The tragic death of Anthony Ryan and the devastation that his family in the United Kingdom must be feeling can be attributed to a number of factors. The road conditions were not good but it must be said also that among the factors is a sense over confidence that many young foreigners develop while in Thailand. The exotic conditions, the balmy weather and the allure of the country causes foreigners to simply be less guarded. The young man, on his first holiday abroad, was found riding a motorbike illegally in Thailand when he was killed. It is an accident that should not have happened if full respect for the law and more cautious judgment had been observed. The death of the young man, the eldest of five brothers who had shown himself to be a self starter and wanted to go to business school, is an appalling tragedy that should not simply become another statistic detailing another westerner killed in Thailand through misadventure. The best way to make sense out of the young man’s death is to make other western young people more aware of the dangers and their responsibilities when visiting Thailand. For some reason, western visitors to Thailand seem to think that laws in Thailand can be disregarded while holidaying in the kingdom. 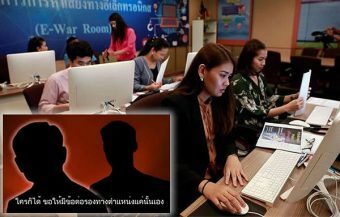 It is quite apparent from online videos and blogs that many young westerners revel in the petty corruption they perceive in Thailand and the flouting of regulations. A European woman in an April 2018 YouTube video who claims to respect the law in her own country but who refuses to pay a fine for having no licence on a motorbike with her boyfriend is one example. 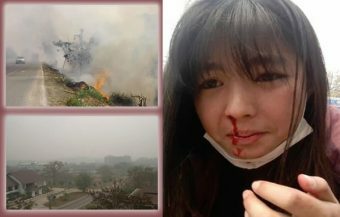 She was confronted by two Thai police officers in Chiang Mai early last year. The payment of the fine would have left her with a notice from the Thai police, as is the correct procedure, that would see her driving her motorbike for another three days. A row ensued, she recounts how she and her boyfriend managed to convince the Thai police officers to accept an out of date Indonesian driving licence which she admits on camera they bought cheaply in Indonesia and is out of date. 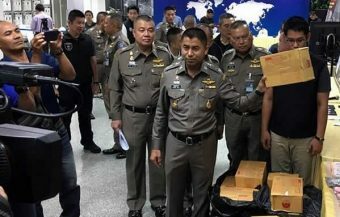 The Thai police officers accepted the Indonesian documented on the basis of Thailand’s membership of the ASEAN community without noticing that it is out of date perhaps because Thailand uses a different calendar. She believed she had just successfully rejected a bribe request from Thai police officers. Incorrect, she had broken the law in Thailand and had just admitted deliberately misleading two Thai police officers in order to avoid a small fine which would have been correct and appropriate, with an out of date document. She and her boyfriend were effectively driving, with no insurance, a motorbike on the most dangerous roads in the world. Yet she regales her YouTube audience with her tale of what she perceives to be corruption in Thailand. This woman is prejudiced, has clearly a lack of respect for the law in Thailand which she is breaking while the Thai police officers were attempting to tactfully uphold it giving her and her partner the benefit of the doubt. In most western countries, her motorbike would have been confiscated and she and her boyfriend arrested. 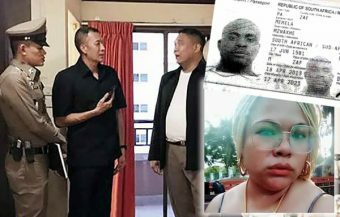 If an accident were to occur in Thailand, she and her boyfriend would have been facing criminal charges or civil damages if they had injured someone or even possibly killed a Thai national. If she was injured, her life may have been in danger or she could have been maimed or disabled without any prospect of financial assistance. At the very least, she would face a huge hospital bill even if she fully recovered. Yet in the YouTube video she laughs at her petty triumph. It is not an uncommon theme or message from young western foreigners. In what other country in the world would this behavior be considered acceptable? 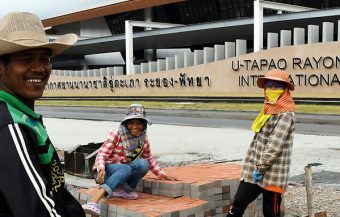 The foundation for this problem is a stereotypical view of Thailand constantly advanced by western media and tabloids. This stereotype is not accurate and keeps causing misunderstanding. It is a failure to respect the unique nature and culture of Thailand and its society. 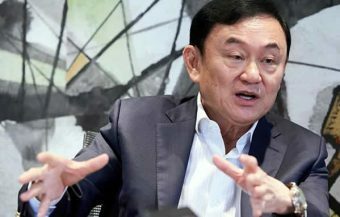 The reluctance to accept that Thailand has its own unique and valid way of doing things is because it is seen as too conservative and idiosyncratic to Thailand. The correct approach for young foreign visitors to Thailand should be to ensure that, at all times, they are in conformity with Thai law. No matter how inconvenient, short cuts or easy solutions should be rejected. Foreigners visiting Thailand do not have the luxury or freedom in Thailand that some Thais, who understand Thailand and its culture better, may exercise for themselves in their own country. All foreigners, but particularly young foreigners visiting Thailand, must be made aware of the need to respect the laws in Thailand. The law may not be similar to western countries or may even appear difficult to understand but foreigners must both understand and accept it. The responsibility is on foreigners to do this for themselves if they are visiting or living in the Kingdom of Thailand. The downfall and frankly, death of many foreigners can be attributed directly to a lack of respect. Instead, many arrive in Thailand with an overconfident impression that they are visiting a country which in popular western culture is seen as riven with corruption where westerners know the rules of the game if they can pay. This is a fallacy and deadly one at that. Thailand is a wonderful country with its own approach to law that suits the character and traditions of the Thai people. The key issue for any foreigner riding a motorbike in Thailand should be firstly whether it is safe or not. The answer is, truthfully, it is not. It is a risky proposition. Thailand’s roads are the most dangerous in the world. The reasons are various and many foreigners are deceived by the beautiful scenery and generally good standard of roads. However, the mayhem and lack of acceptance of coherent driving rules among the Thai population on the road is staggering. Thailand’s sheer volume of motorbikes, often driven dangerously by inexperienced drivers, the erratic nature of Thai drivers is something that will reduce even a veteran and experienced driver on western roads to trembling terror within 20 minutes on a Thai road. Thai drivers typically use inside lanes to pass out, drive at speed, change directions and generally weave in and out of traffic. On any Thai road, this is not the just the activity of one errant driver but the majority. Added to this is the hot weather with downpours of heavy rain, roads with many junctions and no roundabouts as well as the huge number of motorbikes and it is easy to see why Thai roads are the most dangerous in the world. Actually, officially the second most dangerous but Libya right now is a failed state with may areas engaged in civil war with pickups equipped for military use. The second question is should any foreigner ride a motorbike without a valid licence or active confirmation that they are fully covered for insurance purposes in Thailand. The consequences can be grave and the answer is surely a profound No. Foreigners have, in the past, ended up in Thai jails facing long sentences for inadvertently killing either Thai nationals or other foreigners while using uninsured motorbikes. The Thai legal system is quite different to western countries and matters that are civil ones can become criminal matters in Thailand quite easily. 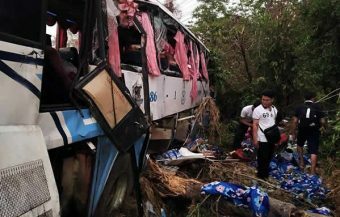 A serious road accident can quickly see a driver behind bars if the driver has not adequate financial resources, has caused injury to Thai nationals or broken Thailand’s legal code. The nod and wink culture which seems to instill so much confidence in young foreigners to break the law to rent a motorbike, quite illegally, quickly turns to a frown when things go wrong on the road. Since 2014, there has been a huge crackdown in Thailand on corruption and lax enforcement of Thai laws since the Thai military junta took power. Young people from western countries should act to be part of the solution to corruption while in Thailand and not part of the problem. 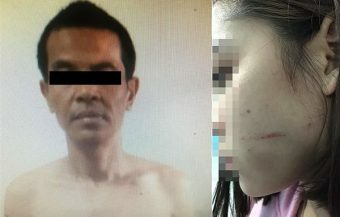 One accident, even if the foreigner is not killed on spot as happened to UK teenager Anthony Ryan, and the foreigner can be facing criminal or civil actions by Thai parties for both property damage or find themselves prosecuted criminally by Thai police and authorities if there has been a loss of life or serious injury. The price for the cheap thrill of riding a motorbike on holiday in Thailand can be a very steep one. One UK driver who has decades of experience riding a motorbike in the UK advises any young person who is not a veteran of handling motorbikes to avoid driving motorbikes in Thailand even with insurance. Even where the foreigner is highly experienced, he recommends that riders use their motorbikes in Thailand ‘defensively’ and to always be on guard. The latest news into ongoing inquiries into the tragic death of Anthony Ryan came just five days before two Russian tourists riding another rented motorbike, were killed in Phuket. The night time accident occurred on Patong Hill on Monday night the 11th February. It saw the two tourists, riding their rented motorbike, lose control of the bike which again collided with oncoming traffic. Patong Police Chief, Colonel Anothai Jindamanee, confirmed the death to the Phuket News. He named the two Russians as 31 year old Andrei Mironov and 29 year old Vasilii Repnikov. He said both motorcyclists were lying on the ground unresponsive when police arrived at the accident site. The driver of a pickup truck which had collided with the men was named as 47 year old Thaworn Krasuk. The Thai man was waiting for Thai police at the scene of the tragic accident. 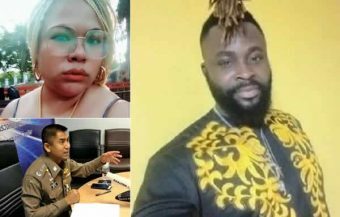 Colonel Anothai stated starkly that the police believe that the Russians were ‘driving recklessly’ as they drove on the Patong Hill heading in the direction of the Patong area of Phuket. They had adjusted their position into an oncoming lane and hit the vehicle of Thai national Mr Krasuk near a shrine on the road. He confirmed that both men were later pronounced dead on arrival at the hospital. 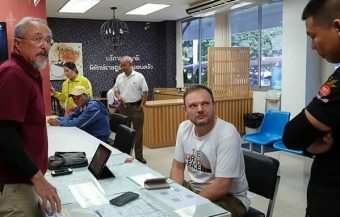 Thai police were reported to be in the process of checking the documentation in relation to the rental of the motorbike to the Russian men from a nearby rental business in Patong itself. The police confirmed that they had tested the Thai driver of the pickup trucks for alcohol and the test had come back negative. They would seek to find out if both Russians had also used alcohol prior to the tragic accident. The two men were not wearing motorbike helmets which is mandatory under Thai law. The regulation requiring motorcycle helmets is one that Thai police, nationwide, are working hard to enforce this law among Thailand’s huge motorcycling community.